Cast your vote today. Help us Raise £5000 from Aviva for Write for Wellbeing workshops. 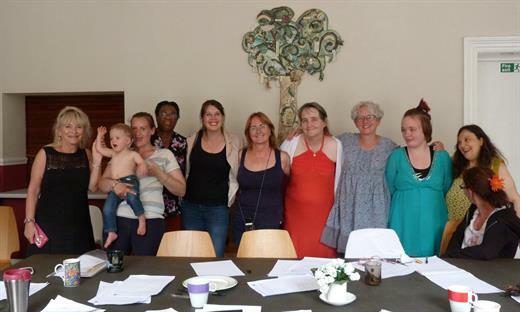 Help WEM and High Peak Arts to raise £5,000 for a project that will offer creative writing workshops to women who have experienced domestic abuse and, or, have found themselves homeless. Together, we’ll be working with local agencies supporting survivors of domestic violence – homeless women and those recovering from drug and alcohol dependency – to host a series of workshops where women will have the opportunity to write poetry and prose and contribute to a final anthology, no matter what level of writing experience they have (if any). Workshops will be delivered to residents of Good News Family Care and women in the community supported by Crossroads Derbyshire, as well as other community members who choose to attend. The project will bring together women who have experienced (or are still experiencing) hardships of many sorts, who are looking to move forward in their lives to a more positive future. We know that the arts are good for our health – creative projects build confidence and self-esteem, help develop friendships, and improve quality of life and emotional well being. Enabling people to express themselves – to be creative, working and sharing with others, learning new skills – all contributes to improved well being. Please do help us to raise money for this empowering project by voting today: https://community-fund.aviva.co.uk/vot…/project/view/17-5561. Voting closes 21 November.